This entry was posted in Africa ICT4D Information and Communication Technologies Living Labs Meteo data News&media Regreening Uncategorized Voice technologies on February 23, 2017 by Anna Bon. Many farmers in Africa are in urgent need for weather forecasts and rain data services, to better plan and improve their harvests. However, language and illiteracy issues, as well a total lack of computers, smartphones and internet, pose obstacles to access this very relevant information. 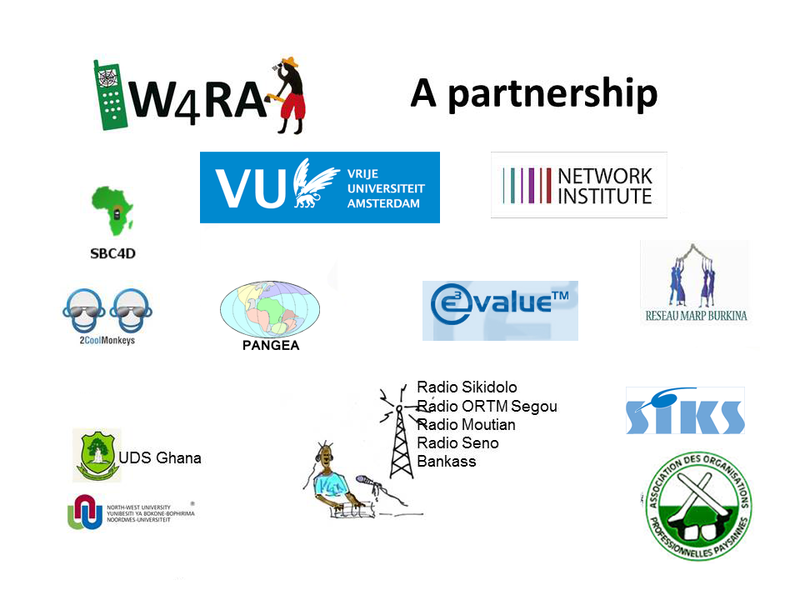 Last week, the W4RA team from VU Amsterdam held a collaborative requirements workshop with (many of whom cannot read and write) farmers, meteo people and radio journalists in Burkina Faso. Based on the requirements of the farmers, VU Information Science student André Baart managed to build a prototype for a voice-based app in local language Mooré, and present this to the farmers. 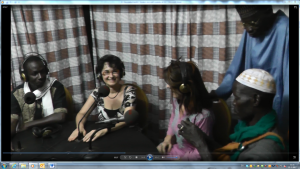 At the end of the workshop Wendelien Tuyp and Anna Bon were interviewed by the local radio station “La Voix du Paysan” (The Famer’s Voice”) in Ouahigouya. 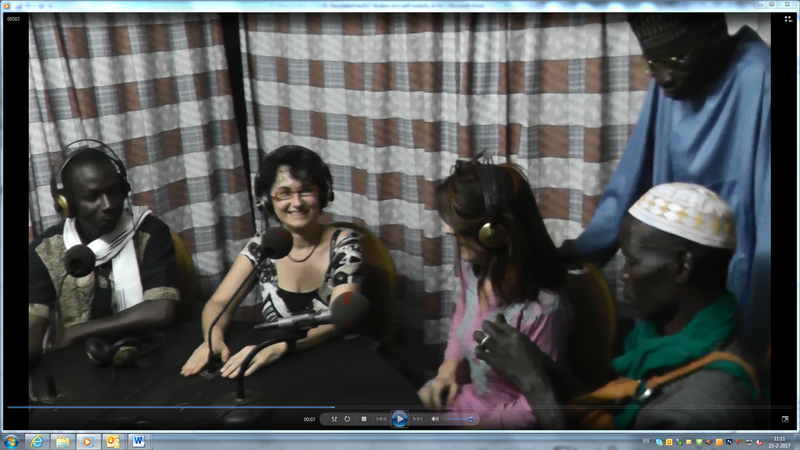 Anna and Wendelien explained about VU’s societally engaged research program, live on the radio. The farmers were also interviewed about the usefulness of the workshop. One of the farmers who was interviewed was the famous Yacouba Sawadogo, “The Man who Stopped the Desert”.